INDA » About INDA » INDA Hall of Fame » Hall of Fame Items » Roy M. Broughton, Jr.
Memberships: The Fiber Society, American Chemical Society, Technical Association of the Pulp and Paper Industry (Nonwovens Division: Previously held all the officer positions on Fibers Committee, and was Continuing Education Chairman and Member of the Nonwovens Division Council), Auburn Representative on International Nonwovens and Disposables Association (INDA) Technical Advisory Board. Member of Program Committee for the Joint TAPPI/INDA International Nonwovens Technical Conference. Previous Member of Editorial Board of International Nonwovens Journal. Area Editor Journal of Engineered Fibers and Fabrics. Occasional review for Textile Research Journal, International Nonwovens Journal, Journal of Applied Polymer Science, the U.S. Department of Commerce (patents), the U. S. Department of Agriculture (Research and SBIR proposals) and Presentation of some 80 papers at short courses and scientific meetings, author/coauthor on some 50 refereed publications, and inventor on 6 US Patents. September, 1976 ‑ present: Professor of Textile Engineering, Auburn University, Auburn, Alabama (Tenure: 1982, Graduate faculty: 1985, Full Professor: 1993, Philpott-WestPoint Stevens Distinguished Professor 1999 – 2002. Summer 2004, Summer Faculty Fellow, NASA Marshal Space Flight Center, Huntsville, AL. Summer 1986, Summer Faculty Intern, U. S. Army R D and E Laboratory, Natick, MA. June, 1966 ‑ January, 1970: Research Fellowship, Department of Textile Chemistry, North Carolina State University, Raleigh N.C.
Summer 1964, Research Engineer, Westvaco, Savannah, GA. Textile Engineering Outstanding Faculty Member (1983, 1990). Philpott-WestPoint Stevens Distinguished Professor of Textile Engineering (1999 – 2002), Mark Hollingsworth Prize – Nonwovens Division of Tappi (2000). Best Paper, Fibers Session, INTC 2004, Spun Melt 2007. 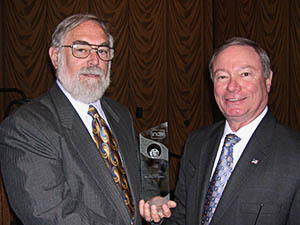 EPA Presidential Green Chemistry Challenge Award, 2005, (Team Award – Member of Team). Appointed Adjunct Professor in the Center for Green Manufacturing, UA Tuscaloosa, 2004 – present. Appointed Adjunct Professor in the Department of Materials Engineering University of Tennessee 2006. * Protective materials – permeability, filtration, ballistics, chemical reactivity, insulation. * High performance fabric structures – lunar habitat etc. Various chemical finishing technologies for fibers and fabrics. Teaching a graduate level course in “Structure and Properties of Polymers” (TE 7310) and laboratory. Teaching a graduate leveling course covering all aspects of textile manufacturing (ITAS 7200). Direction of graduate level projects courses and thesis research. Service as Graduate Program Officer and initial advisor to all Textile graduate students (1988-1993). Teaching undergraduate in fiber science. Lectures concentrate on structure/property relationships; laboratories involve extrusion, microscopy, fiber identification, chemical/ physical testing. Teaching of a course in Non-Conventional Fabric Structures (nonwovens and carpets). The course covers both the manufacturing technologies and the structure and properties of the products produced. Teaching a course in Analytical Instrumentation. An introduction was provided in the techniques of gas chromatography, infrared and visible spectroscopy, color measurement), x‑ray diffraction, thermal analysis, electron microscopy, viscosity, pressure, and temperature measurements. Teaching in some ten or more Extension Courses at Auburn University Engineering. Material presented included fibers, nonwovens, SPC, texturing, testing, waste‑water treatment, polypropylene, and adhesion. 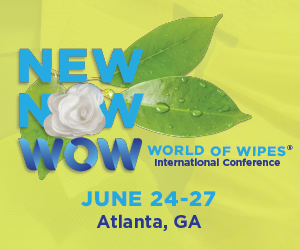 Teaching in a dozen or more short courses and tutorials presented by the Nonwovens Division of TAPPI and at the International Nonwovens Technical Conference (nonwoven products, fibers and processes). Short teaching, research or testing projects as service to industry for at least fifty different companies. Oversight of Nonwovens, Fiber Extrusion, and Physical and Chemical Testing laboratories in the Department of Polymer and Fiber Engineering. This has included the design, installation and startup of the Nonwovens and Fiber Extrusion laboratories, project supervision for fiber and fabric testing, as well as personnel supervision in the day-to- day operations of the laboratories. Extrusion plant trials of new spin finishes, and troubleshooting size variation in fiber production. Dr. Broughton’s broad background in science and engineering allow him to make contributions to a wide variety of problems in manufacture, processing and use of fibers and polymeric materials. “Biocidal siloxane coating material containing N-halogenated amine and amide functional groups” Worley; Shelby D., Chen; Yongjun, Liang; Jie, Wu; Rong, Barnes; Kevin, Broughton; Royall M.., Cho; Unchin , Lee; Jaewoong, US Patent 7,335,373 , February 26, 2008. “Rotably Driven Braiding Machine”, John Klein, David Beale and Roy Broughton U. S. Patent 5,913,959, June 22, 1999. “Braided Fabric and Method of Forming”, John Klein, David Beale and Roy Broughton U. S. Patent 5,899,134, May 4, 1999. “Slip Yarn Braiding Device”, D. Vickers, Q. Zhiang, J. Klein, D. Beale, R. Broughton, R. Walker, US Patent, 5,727,438 Mar. 17, 1998. “Reduction of Glycol Ethers in Polyester” Broughton, R. et.al., U.S. Patent 4,230,818, October 28, 1980. 4,223,124, R. M. Broughton, J. R. Joseph and T. E. Winters, June 22, 1979. Jaewoong Lee, R. M. Broughton, S. D. Worley, T. S. Huang, “Antimicrobial Polymeric Materials; Cellulose and m-aramid Composite Fibers”, Journal of Engineered Fibers and Fabrics, 2 (4),25-32 (2007). J. Liang, K. Barnes, A. Akdag, S. D. Worley, J. Lee, R. M. Broughton, T. S. Huang, “An Improved Antimicrobial Siloxane”, Ind. Eng. Chem. Res. , 46 (7), 1861-66 (2007). K. Barnes, J. Liang, S. D. Worley, J. Lee, R. M. Broughton, T. S. Huang, ”Modification of Silica Gel, Cellulose, and Polyurethane with a Sterically Hindered N-Halamine Moiety to Produce Antimicrobial Activity” Journal of Applied Polymer Science , 105 (4), 2306-13 (2007). Jaewoong Lee, R. M. Broughton, J. Liang, S. D. Worley and T. S. Huang, “Antimicrobial Acrylic Fiber”, Research Journal of Textile and Apparel , 10 (4) 61 – 66 (2007). L. Kou, J. Liang, S. D. Worley, J. Lee, R. M. Broughton, and T. S. Huang, “Antimicrobial Cellulose: Preparation and Application of 5-methyl-5-aminomethylhydantoin”, Res. J. Tex. Apparel, 10 (4) 44-53 (2007). “N-Halamine Biocidal Coatings”, J. Ind. Microbiol, & Biotechnol. , 34, 157 (2007), invited paper. K. Barnes, J. Liang, R. Wu, S. D. Worley, J. Lee, R. M. Broughton, T. S. Huang, “Synthesis and Antimicrobial Applications of 5,5′-ethylenebis[5-methyl-3-(triethoxysilylpropyl)hydantoin]”, Biomaterials 2006, 27, 4825-4830. “Novel N-halamine siloxane monomers and polymers for preparing biocidal coatings” S.D. Worley,, Y. Chen, J-W Wang, R Wu, U Cho, R M Broughton, J Kim, C-I Wei, J F Williams, J Chen, and Y Li, Surf. Coat. Intern. Part B. Coat. Trans., 88, 93 (2005) (invited paper). “Light-Controlled Generation of Palladium Crystallite Structures in Polyimide Films”, G. A. Gaddy, Edward P. Locke, G. Mills, R. Broughton,. R. Albrecht-Schmitt, M. E. Miller, Diane M. Stoakley, Catharine C Faye,. And Gilda Miner, J. Phys. Chem., 2004, 108, 45, 17378-17383. “Quasistatic Behavior of Polymer Composite Flywheels” Jianmin Chen, Yasser Gowayed, R. M. Broughton, Polymer Composites, 25 (5) 2004. Antimicrobial Treatment of Nylon” Jian Lin, Catherine Winkelman, S.D. Worley, R. M. Broughton, J. F. Williams, J. Appl. Poly. Sci. 81, 943 – 947 (2001). “Analysis of Circular Braiding Process, Part 1: Theoretical Investigation of Kinematics of the Circular Braiding Process”, Q. Zhang, D. Beale, R.M. Broughton, 1999, ASME J of Manufacturing Science and Engineering, v121(3), p.345‑350. “Analysis of Circular Braiding Process, Part 2: Mechanics Analysis of the Circular Braiding Process and Experiment”, Q. Zhang, D. Beale, R.M. Broughton, Adanur, S. ASME J of Manufacturing Science and Engineering, v121(3), p.351‑359 (1999). “Chicken Feather as a Fiber Source For Nonwoven Insulation” Weiqin Ye, Roy M. Broughton, Jr. and Joseph B Hess, International Nonwovens Journal, 8(1)Spring 1999, (p53-65). “Recovery and Reuse of Waste PVC Coated Fabrics, Part I”, Sabit Adanur, Zhenwei Hou and Roy Broughton, Journal of Coated Fabrics 28, July 1998 (1 – 19). “Part II” 28 October 1998 (145 – 168). Structural Analysis of Two Dimensional Braided Fabric”, Qiang, Z., D. Beale, S. Adanur, R. Broughton, R. Walker, Journal of the Textile Institute 88 ( Part 1, #1 ) 41 – 52 (1997). “Investigation of Processing Performance and Blending Efficiency of Cotton Fibers During Spinning Preparation” ElMogahzy, Y. and R. Broughton, 1995, Melliand Textilberichte. English/German Edition), Vol. 4, pp E52-E55, G212-G218. “Thermal Properties of Novel Carbonaceous Battings” Shanley, L. A., B. L. Slaten, P. Shanley, R. M. Broughton, D. M. Hall and M. Baginski, Journal of Fire Sciences 12 (3) 238-245 (1994). “A New Approach for Evaluating the Frictional Behavior of Cotton Fibers: Part 1 – Fundamental Aspects and Measuring Techniques” Yehia E. El Mogahzy and Roy M. Broughton, Jr. Textile Research Journal63 (8) 267-272 (1993). “The Use of a New Carbonaceous Fiber in Thermal Insulative Battings” R. Broughton, D. Hall, P. Brady, L. Shanley, B.L.Slaten, INDA Journal of Nonwovens Research 5 (4) 38-42 (1993). “The Measurement of Fiber Friction and Its Importance in Manufacturing Cotton Nonwovens”, Roy M. Broughton, Jr. and Yehia E. El Mogahzy, TAPPI Journal 76: (2) 178 – 182 (1993). “Ionomer Studies of Polyethylene-Acrylic Acid Copolymer – Part I – Fiber Preparation and Properties”, Roy M. Broughton, Jr. and David M. Hall, J. Appl. Poly Sci 48: 1501-1513 (1993). “Ionomer Studies of Polyethylene-Acrylic Acid Copolymer – Part II -Effect of Swelling Method and Ionermerization Tensions on Ion Absorption of PEAA Fibers “, David M. Hall, Roy M. Broughton, Jr. and Roy C Wilcox, Journal of Applied Polymer Science 47, 2079-2082 (1993). “Ionomer Studies of Polyethylene-Acrylic Acid Copolymer (PEAA) Part III – Latex Dispersions for Improving the Tensile and Abrasion Properties of Textiles Containing Cotton,” David M. Hall and Roy M. Broughton, Jr., International Journal of Clothing and Science Technology 5 (2) 20-25 (1993). “Regressional Observations of HVI Fiber Properties, Yarn Quality and Processing Performance of Medium Staple Cottons”, Y. ElMogahzy and Roy M. Broughton, Jr., Textile Research Journal 62 (4) 218-226 (1992). “Mechanism of Yarn Failure”, Roy M. Broughton, Jr., Y. ElMogahzy, and D. M. Hall, Textile Research Journal 62 (3) 131-134 (1992). “Fixation of Reactive Dyes Using Radio Frequency Energy” W. S. Perkins, R. Broughton, W. K. Walsh, and S. Ruiquing, Journal of the Society of Dyers and Colorists 108 (2) 70-73 (1992). “Experimental and Numerical Characterization of the Radio Frequency Drying of Textile Materials II” M. Baginski, R. Broughton, D. Hall, and L. Christman, Journal of Microwave Power and Electromagnetic Energy 25:(2) 104-113 (1990). “A Statistical Approach for the Determination of the Value of Cotton in the Marketing System Using HVI Fiber Properties” Y. El Mogahzy, Roy M. Broughton, Jr. and W.K. Lynch, Textile Research Journal 60:(9) 495-500 (1990). “Infrared Drying of Textile Yarn” Final report on EPRI project 2893‑8, Roy M. Broughton, Jr. and M. Reed, March, 1989. Published in Radio Frequency and Infrared Drying of Sized Textile Warp Yarns EPRI, November, 1990. “Diagnosis of Multi‑Collinearity of Cotton Fiber Properties,” Y. El Mogahzy Roy M. Broughton, Jr. and W. K. Lynch, Textile Research Journal 59: (8) (1989). “Starch” D.M. Hall, and Roy M. Broughton, Jr. in Warp Sizing Handbook, editor: C Livengood, AATCC, Raleigh, N.C. (1987). “Effect of Hollow Core on the Rigidity of Fine Fibers” D.K. Gupta, and Roy M. Broughton, Jr. Journal of Applied Polymer Science, 92: 2537‑2546 (1984). “Factors Affecting Weft Yarn Removal Rate” R. Walker and Roy M. Broughton, Jr. Journal of Industrial Fabrics, 2: (1) 29‑38 (1983). “The Effect of Relative Humidity on the Noise Attenuation of Foam Earplugs” with C. Smith et. al., American Industrial Hygiene Association Journal 44:814‑818 (1983). “Physical Properties and Attenuation of Foam Earplugs” with Roy M. Broughton, Jr. C. Smith et.al., American Industrial Hygiene Journal 43:31‑38 (1982). “Evaluation of New Energy Conserving Processes for Batch Dyeing of Polyester‑Cotton Blends” with other members of the Southeastern AATCC Research Committee, Textile Chemist and Colorist 11, 246‑258 (1979). “Selection of Process Conditions for Poly(Ethylene Terephthalate) Textile Yarn” T. Broderick and Roy M. Broughton, Jr., Textile Research Journal 47:666‑670 (1977). “The Detection and Identification of Particulate Contamination in Poly(Ethylene Terephthalate) Yarn” Roy M. Broughton, Jr., Textile Research Journal 46:155‑158 (1976). “Location and Distribution of N‑Methylol Acrylamide in the Radiation Induced, Delayed Cure Process” Roy M. Broughton, Jr., W. K. Walsh and M. Rollins, Textile Research Journal 40:672‑674 (1970). Invited Seminar, “Processing of Polymers in Ionic Liquids”, Georgia Institute of Technology, November 19, 2007. University of Californina, Davis, October 9 – 12, 2007.
International Nonwovens Technical Conference (INTC), “Production and Evaluation of Meltblown Poly(phenylene sulfide)”, Roy M. Broughton, Jr., Chris Eash and Larry C. Wadsworth, Atlanta, GA September 25-27, 2007, proceedings. INTC, “Extrusion of Composite Fibers”, Fatma S. Kilinc-Balci (presenter), Xiuling Fan, Hasan Kocer and Roy M. Broughton,, Atlanta, GA September 25-27, 2007, proceedings. Extrusion”, M. A Mosiewicki (presenter), Tara Richardson, Fatma Kilinc-Balci, Roy M. Broughton, Jr., M. L. Auad, M. I. Aranguren and N. E. Marcovich, Atlanta, GA September 25-27, 2007, proceedings. Textile Processing: State of the Art & Future Developments – 4th International Conference of Textile Research Division NRC, “Cellulose Fibres Prepared from Direct Dissolution of Cellulose in Ionic Liquids”, N. Sun (presenter), R. P. Swatlosky, M. L. Maxim, R. M. Broughton, Jr.,4 S. K. Spear, D. T. Daly, A. Haque, A. G. Harland, and R. D. Rogers, Cairo, Egypt, April 15 – 17, 2007, Proceedings: 4 (2) (2007) 139 – 143. Rutgers symposium on Lunar Settlements “A One-Piece Lunar Regolith-Bag Garage Prototype”, Gweneth A. Smithers (presenter), Mary K. Nehls, Mary A. Hovater, Steven W. Evans, J. Scott Miller, Roy M. Broughton, Jr., David Beale, and Fatma Kilinc-Balci, Rutgers University, June 3 – 8, 2007. INDA Short Course, “Elementary Nonwovens Short Course”, Roy M. Broughton, Jr. and Gajanan Bhatt, Raleigh, NC. December 2006. The Filtration Conference, “Advanced High Temperature Melt Blown Polyphenylene Sulfide Filter Media” Larry Wadsworth (presenter), Chris Eash, Roy Broughton, Philadelphia, PA, Novenber 2006. Fifteenth Molten Salts Symposium, “A Look at Ionic Liquid Generated Cellulose and Modified Cellulose Fibers”, by R. Swatloski (presenter), R. Broughton, N. Sung, M. Maxim, D. Daly, S. Spear and R. Rogers, Cancun, Mexico, October 30, 2006. The Fiber Society, “Development of Orientation in Extruded Cellulose Fibers” Ramsis Farag, Roy M. Broughton, Fatma Kilinc-Balci, Weijun Wang, Richard Swatloski, and Robin Rogers, Knoxville, TN October, 2006. The Fiber Society, “Antimicrobial Fibers via Dyeing Process”, Jaewoong Lee (presenter), A. Akdag , S. D. Worley, T. S. Huang and R. M. Broughton, Seoul Korea, May 2006. ACS National Meeting, “ How Understanding the Ionic Liquid/Cellulose Dissolution can Guide the Generation of Advanced Cellulose Based Materials”, R. Swatloski (presenter), R. Broughton, G. Moyna, S. Spear, R. Rogers, Atlanta, March 27, 2006. National ACS Meeting, “Synthesis and Applications of 5,5′-ethylenebis[5-methyl-3-(3-triethoxysilylpropyl)imidazolidin-2,4-dione] for Durable and Regenerable Antimicrobial Surfaces”, K. Barnes, J. Liang, S. D. Worley, J. Lee, R. M. Broughton, and T. S. Huang, Ind. Eng. Chem. Abs. 50 Atlanta, GA, Mar. 2006. National ACS Meeting, “New Rechargeable Biocidal N-halamine Siloxanes”, J. Liang, K. Barnes, Y. Chen, S. D. Worley, J. Lee, R. M. Broughton, and T. S. Huang, Ind. Eng. Chem. Abs. 48 in Atlanta, GA, Mar. 2006. National ACS Meeting, J. Liang, T. S. Huang, and S. D. Worley, “Coating New N-halamine Siloxanes on Silica Gel to Prepare Biocidal Silica Gels”, Ind. Eng. Chem. Abs. 49 Atlanta, GA, Mar. 2006. Four invited lectures on Polymer Structure and Properties, Center for Green Manufacturing, University of Alabama, Tuscaloosa, January – May 2006. Pacifichem, “N-Halamine Biocidal Coatings” S. D. Worley, J Liang, R. Broughton, T, Huang, Honolulu, Hawaii, December, 2005. Pacifichem, “Preparation of new Antimicrobial Materials using Halamines” Unchin Cho, Jaewoong Lee, R. Broughton, and S. D. Worley, Honolulu, Hawaii, December 2005. Pacifichem, “Extrusion of Composite Fibers and Films” R. M. Broughton, G. Shen, Unchin Cho, Jaewoong Lee, Rick Swatloski, and Robin Rogers, Honolulu, Hawaii, December 2005. Fiber Society Conference, “A New Approach to Produce High Tensile Strength and High Modulus Cellulose Fiber” Wang, Weijun (presenter) and Roy M. Broughton, Newark, NJ., October 17 – 19, 2005. INTC, “Antimicrobial Acrylic Fiber” Jaewoong Lee, Roy M. Broughton, Jr., S. D. Worley, J. Liang, T-S. Huang, St Louis, MO, September 2005. Soc. Ind. Microbiol, Biofilms 2005 Symp., “N-Halamine Biocidal Coatings”, S. D. Worley (presenter), J. Liang, R, Wu, J-W. Wang, K. Barnes, U. Cho, J. Lee, R. M. Broughton, and T. S. Huang, Arlington, VA, April, 2005. Paint Research Association, International Meeting on Hygienic Coatings, “N-Halamine Biocidal Coatings”, S. D. Worley (presenter), J. Liang, R. Wu, U. Cho, and R. M. Broughton, Paris, FR, March, 2005. Cotton Beltwide Conferences, “Cellulose Fibers Extruded from Ionic Liquids”, Weijun Wang Guanglin Shen, Richard P. Swatloski, Ramsis Farag, Roy M. Broughton, Jr, Robin D. Rogers, New Orleans, January, 2005. INTC, “New Solvents for Cellulose Extrusion” Weijun Wang, Guanglin Shen, Richard P. Swatloski, Ramsis Farag, Roy M. Broughton, Jr, Robin D. Rogers, Toronto, Canada, 2004. Conference on Hygienic Coatings and Surfaces “Novel N-halamine siloxane monomers and polymers for preparing biocidal coatings”, S D Worley (presenter), Y Chen, J-W Wang, R Wu, U Cho, R M Broughton, J Kim, C-I Wei, J F Williams, J Chen, and Y Li, Orlando, FL, January 2004. Cotton Beltwide Conferences “Review of Nonwovens and Testing Equipment on Exhibition at ITMA 2003” January 2004, San Antonio, TX, Published proceedings and also in Southern Textile News. Cotton Beltwide Conferences, “Comparison of Insulation Properties for Various Nonwoven Batting Materials” Roy Broughton, Unchin Cho, Paul Brady, January, 2003, Nashville, TN. American Chemical Society National Meeting, “Antimicrobial Surfaces” Unchin Cho, Roy M. Broughton, Jr., and S. D. Worley, March 2003, New Orleans, LA. American Chemical Society National Meeting, “Novel Biocidal Elastomeric Materials”, S. D Worley (presenter), R. M. Broughton, D. B. Elrod, J. F. Williams, and J. Santiago, March 2000, San Francisco, CA. Beltwide Cotton Conferences, “Measurement of Short Fiber Content” Roy Broughton, Yehia ElMogahzy and Tom Pritchard, January 2000, San Antonio, TX (proceedings). INDA Tec, “Antimicrobial Textiles” Unchin Cho, Roy Broughton, Dave Worley, Gang Sun, and Jian Lin, September, 1999, Atlanta, GA, (proceedings). INDA Tec, “ Chicken Feather as a Fiber Source for Nonwoven Insulation” Weiqin Ye, Roy Broughton, and Joseph P Hess, INDA Tec, September, 1998, Atlantic City, NJ, (proceedings). Tappi Nonwovens Conference, “Nonwoven Products Tutorial”, March 1998, St Petersburg, FL. Beltwide Cotton Conferences, “A rapid Test for Honeydew Contamination Using the Clinitest Reagent” Roy Broughton and Wade Wallace, January 1998, San Diego CA, (proceedings). Beltwide Cotton Conferences, “The Contribution of Fiber Friction to Yarn Quality”, Hong Guo (presentor), Yehia ElMogahzy and Roy Broughton, January 1998, San Diego, CA, (proceedings). Archtex Textile Conference, “Measurement of Fiber Friction” with H Guo and Y. ElMogahzy, Lodz, Poland, October 1997, (proceedings). RMB lecture on textile testing and quality control, September, 1997, Atlanta. TAPPI Nonwovens Conference, Fibers Tutorial, March 1997, Memphis, TN. TAPPI Nonwovens Converence, Nonwovens Process Technology Tutorial, March, 1996. Hi-Tech Textiles Conference: “Initial Design of Nonwoven Fabrics For Air Filtration” with S.I. Bakhtiyarov, Paul Bardy and S.Adanur, July 1995, Greenville, SC. Beltwide Cotton Conferences: “Frictional Properties of Normal and Chemically Treated Cotton” with Y. ElMogahzy and Q. Wang, January 1994, San Diego, CA (proceedings). INDA Nonwovens Fundamental Research Conference: “The Use of a New Carbonaceous Fiber in Thermal Insulative Battings”, with D.M. Hall, P. Brady, L. Slaten and L. Shanley, June 1993, Clemson, SC, (proceedings). Beltwide Cotton Conferences: “The Dependence of Moisture Regain and Sorption of Reactive Dyes on the Bulk Maturity of Cotton” with W. Perkins and I. Reed (presented by W. Perkins) January, 1993, New Orleans, LA (proceedings). Clemson University Short Course: “Military Textile Research at Auburn”, with D. Hall Greenville, SC. (proceedings). Auburn University Short Course: “ITMA Review: Nonwovens” Auburn, AL. Rayon Acetate Council Sponsored Seminar, Rayon Technology and Nonwovens, Nashville, TN. AATCC International Conference: “Use of RF Energy in Pad/Batch Dyeing” presented by W. Perkins, October 1990, Boston MA. (proceedings). EFS MiniConference: “Report on a Mill Regression Trial” with Y ElMogahzy, Raleigh, NC. Rayon Acetate Council Seminar: “Nonwoven Fabrics”, Elizabethton, TN. Engineered Fiber Selection MiniConference: “The Role of Regression Methodology in Detecting Collinearity of HVI Data”, Y. El Mogahzy (presentor) and Roy Broughton, Raleigh, NC. Auburn University Seminar in Computer Science and Engineering, “Computer Aided Design in Textiles”, Auburn, Al. Annual Cotton Research Conference: “Visualization of Cotton Fiber Properties”, Roy Broughton, Y. El Mogahzy, T. Madderra and W. Lynch, Myrtle Beach, SC. Rayon Acetate Council Seminar: “Fiber Science”, Johnson City, TN. Florida Arson Seminar: “Flammability of Carpets” with D. Hall, Orlando, FL. Auburn University Short Course: “ITMA Review: Fibers and Nonwovens”, Auburn, AL. Auburn University Short Course: “Textiles for Forensic Science” Auburn, AL. N.C. State University Conference on Computer Aided Design: “Q‑Weave Program Developed at Auburn” With R. P. Walker and S. Shyong, Charlotte, NC. Clemson University Polypropylene Conference: “Adhesion” Clemson, SC. AATCC Southeastern Section: “Adhesion” Columbus, GA.
American Auditory Society, “Physical Characteristics and Attenuation of Earplugs” New Orleans, LA. Solving Tufted Textile Problems Short Course, “A Critical Analysis of Carpet Backing Components”, Auburn, AL. U. S. Air Force (with S. D. Worley, PI) “Biocidal Materials” ~ $ 1,000,000 + over the last 5 years. A variety of industrial sponsors. laboratory and pilot scale manufacture of nonwovens. production of numerous nonwoven fabrics for insulation, mattress pads, filtration etc. Consultation and expert witness on UV degradation of polymers for an industrial client. Consultation on patents for yarn manufacture.